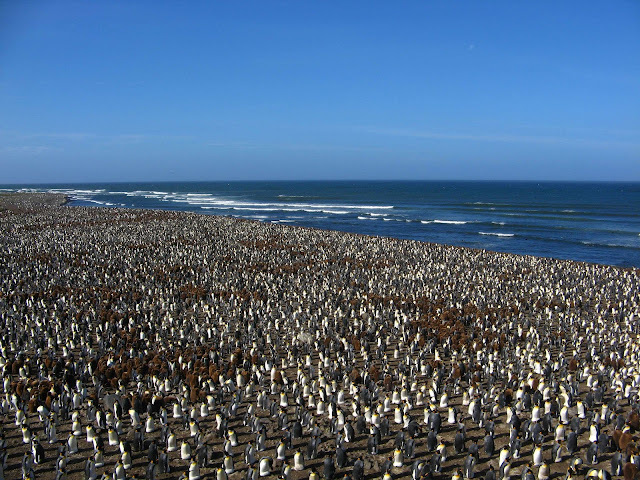 When the humans came, the penguin was in its crèche, a cluster of young birds left behind while their parents foraged. Other penguins young and old stretched away from it in all directions. All at once, the chick was lifted from the ground by a pair of human hands. A cloth hood was pulled over its head. The researcher spun the bird around three times, then set off, carrying the bird away from the colony at a fast clip. Human and penguin traveled a circuitous route meant to further disorient the bird. When they reached their destination, the human spun the penguin three more times. Finally the chick found itself on solid ground, the hood pulled away from its eyes. Its colony was nowhere in sight. The penguin was standing inside a circular arena about 10 meters across, surrounded by a meter-high wall of cloth. A scientist quickly fitted a pair of pads, like earmuffs, over the chick's head, deadening the sounds it heard. Then the penguin was left alone. For fifteen minutes, following cues in its head that were inscrutable to the human observers, the penguin wandered inside the arena. Its instincts told it to return to the crèche right away, so its parents could find it when they came back. While it tried to discover the right direction, human eyes watched and recorded. Finally the walls of the arena came down; the bird was free to go. It set off waddling across the frozen ground, still wearing its earmuffs. The bird was less than 200 meters from the colony but still couldn't see it. The ocean, though, was in sight. The chick walked straight to the shore. Then it hung a left and headed, correctly, for its colony. Finally it reached the crèche and the other chicks it had left behind. 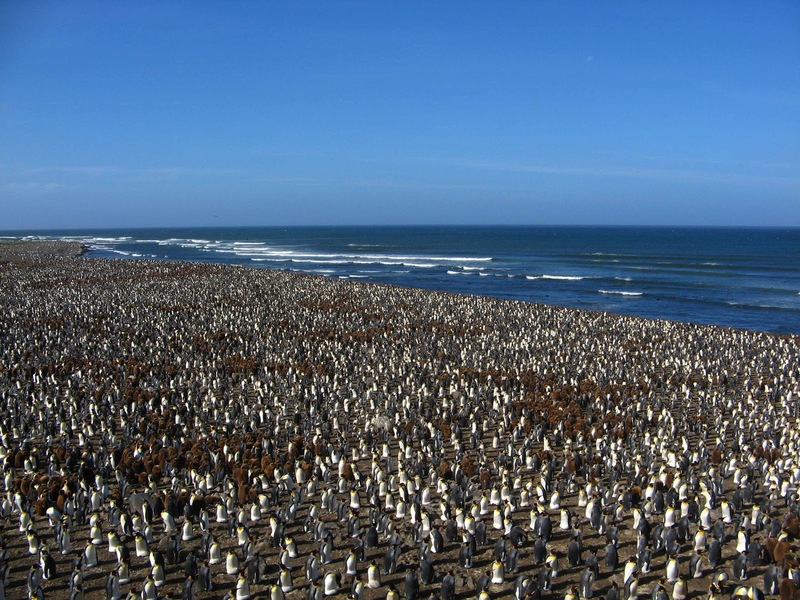 A piece of wood was on the ground, left by the human to mark the spot where the penguin had stood before its abduction. This traveler was only one of many young penguins the humans lifted from their crèches in those days. Some, instead of earmuffs, had magnets temporarily attached to the backs of their heads. Some were made to travel by night. Some heard a recording of the colony broadcast loudly from speakers within the arena. The researchers, who came from the University of Oxford and the CEFE in France, hoped to learn from the journeying birds the secrets of penguin navigation. Earlier visits to penguin crèches had told them that the young birds navigate partly by sight, but that most of them could still find their way in the dark—so some other talent was at work too. Chicks with magnets on their heads did not fare any worse than usual. This revealed to the humans that the penguins didn't rely on sensing the earth's magnetic fields (as homing pigeons are able to do). The 18 earmuffed birds were also just as likely to navigate home as non-earmuffed birds. But out of the 16 who made it home without help, researchers noticed that 6 took an unusual path. Like our hero, they seemed to orient themselves by first walking to the ocean, then following it back. It was an intriguing hint that the earmuffs, which quieted the sound of the squawking penguin colony but didn't block it out entirely, were changing the birds' navigation strategy. The second experiment involving sound truly befuddled the young birds. 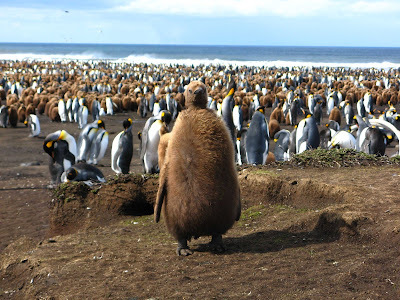 When speakers inside the arena played the sounds of the colony, almost all the penguins oriented themselves toward the speakers instead of toward home (in the opposite direction). Several chicks stood in front of the speakers, calling to them plaintively. Five minutes after the walls came down, nearly all the undisturbed chicks were well on their way back to the colony. But many of the chicks who had heard the speaker noises lingered close to the arena. A few set off in the wrong direction entirely. The humans made sure all the young birds made it back to their crèches in the end. Afterward, lead author Anna Nesterova told the tale of the traveling penguins in the Journal of Experimental Biology. From her story, Nesterova drew the moral that penguins use acoustic cues as part of their navigational toolkit. The sound of the distant colony seems to call them back. But the visual landmarks around the birds are also important, and there may be other clues they take in as well. 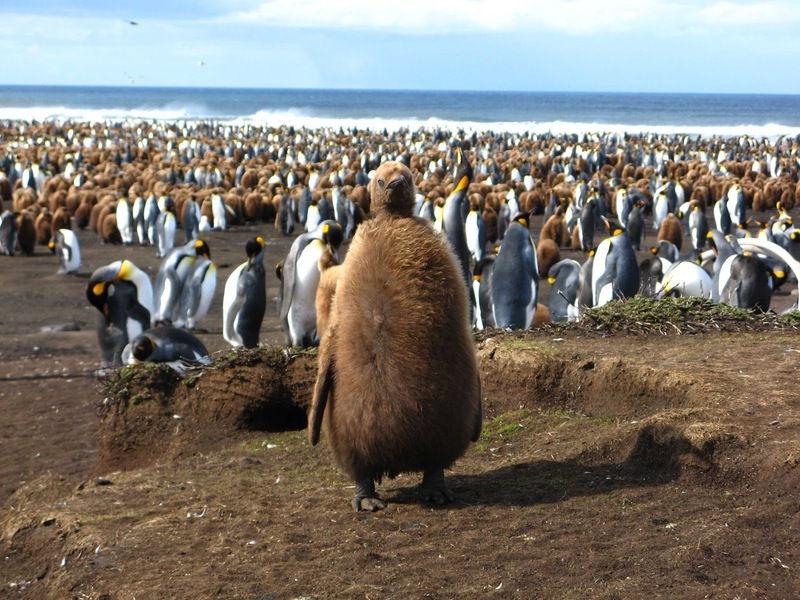 As adults, king penguins must navigate between the colony (which may span several kilometers) and their foraging grounds. Upon returning to the colony, they find their partners and chicks by calling out and listening for the right voices among thousands—a task that would seem to require magic. Someday, we meddling humans may learn the secret of how these birds get there and back again. Images courtesy of Anna Nesterova.